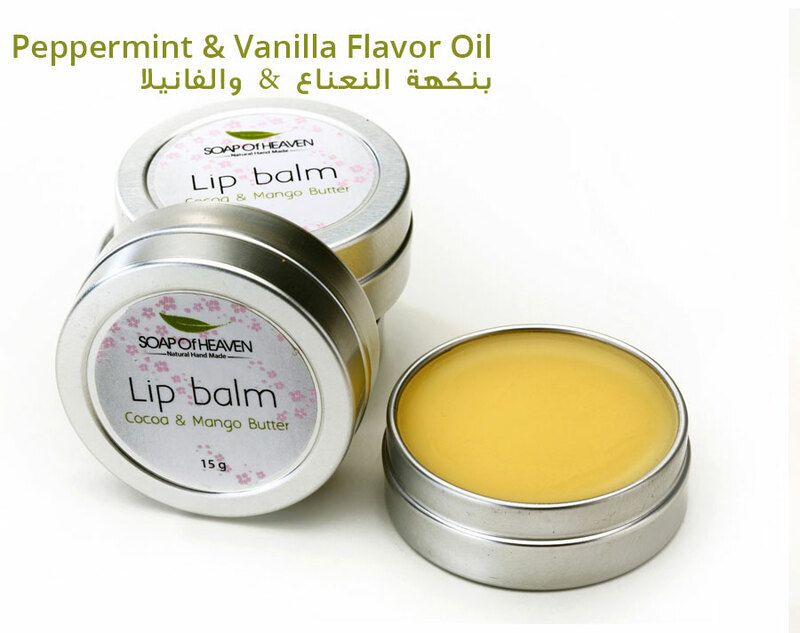 Natural Lip Balm made with pure Cocoa Butter and Mango Butter is also contains wonderful nourishing oils such as Avocado Oil, Coconut Oil and sweet Almond Oil with the addition of Vitamin E, this is naturally handmade lip balm which helps maintain moisture on the lips as well as restoring its elasticity protecting it from drying and cracking. These are available in 3 different flavors, Net weight 15 grams. Cocoa butter – mango butter – avocado oil – sweet almond oil – Organic coconut oil – vitamin E- essential oil - flavoring oil.